There are new updates to the Tomorrowland lineup! Die Antwoord, La Fluer, Roni Size, Seven Lions and Tiësto top the new list of names! Also announced are Andhim, Bassjackers, Laidback Luke and more! Catch the lineup video below for a complete list of the latest announcements and there's more to come this week. Check back for updates! Tomorrowland tickets are on sale! The first names of the Tomorrowland lineup include Armin Van Buuren, Charlotte De Witte, Carl Cox, The Chainsmokers, Adam Beyer, Aly & Fila, Armand van Helden, Flux Pavilion, Martin Garrix & more! It's a huge music festival in Boom, Belgium; it's known as one of the premiere electronic music festivals in the world. Eric Prydz will bring the latest version of HOLOSPHERE to Tomorrowland , with the latest in hologram technology! Tomorrowland 2019 has a lineup of the world's best Trance, House, Chill, Trap, Electro, Hardstyle and more. Tomorrowland is known for exquisite stage production and a high-end experience in all aspects of the festival. The theme for 2019 is The Book of Wisdom The Return. 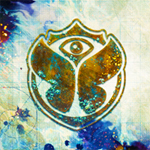 The Tomorrowland dates are July 19 - 21 AND July 26 - 28. The Tomorrowland 2019 lineup and Tomorrowland 2019 tickets are below! Eric Prydz EPIC Holosphere is doing a world premiere at Tomorrowland! Tomorrowland tickets have sold out, but are still available on StubHub. Hit the link below to check out options. The Tomorrowland lineup for 2019 so far! Check back for updates!